I don’t even know you but I am so PROUD of you! 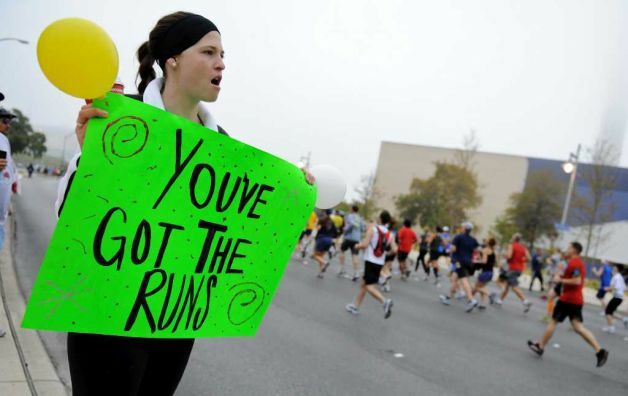 A BIG thanks to Katrin for this picture of her and her sign used to cheer on her Vienna Marathon relay team. Check out Katrin’s blog here. 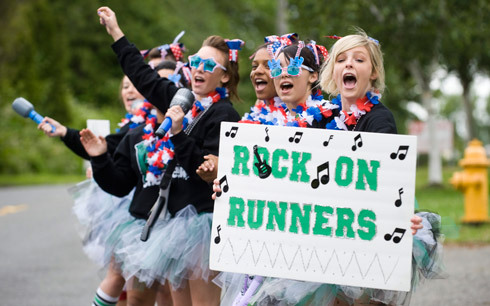 And then there is this similarly-themed sign seen at the Arizona RnR marathon. All of those treadmill runs are really paying off! 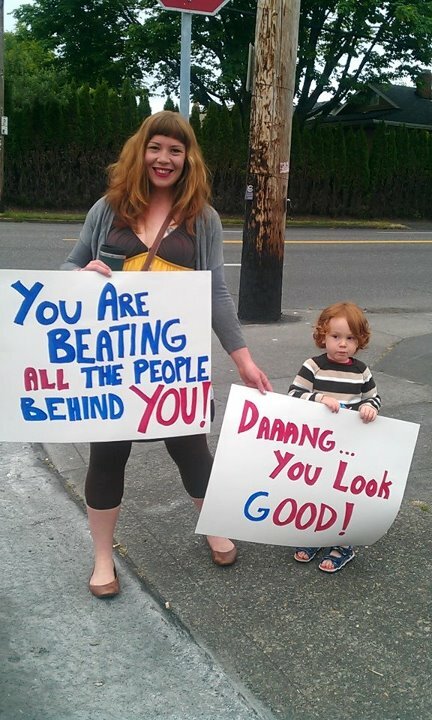 You are beating all the people behind you! …when the zombies chase you! 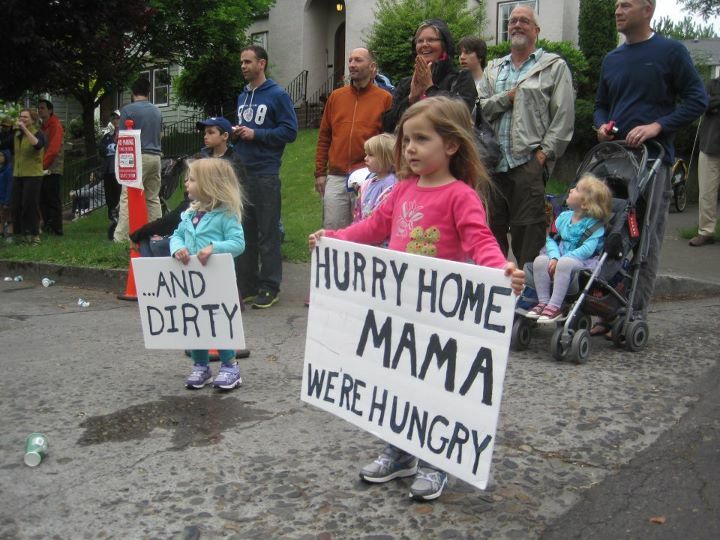 Charla, Running Haiku blogger, emailed me these signs from today’s Rock N’ Roll Marathon in Seattle, WA. That’s not sweat. It’s your fat cells crying!! !